Bring a festive celebration of light and color to your mantel or tabletop! 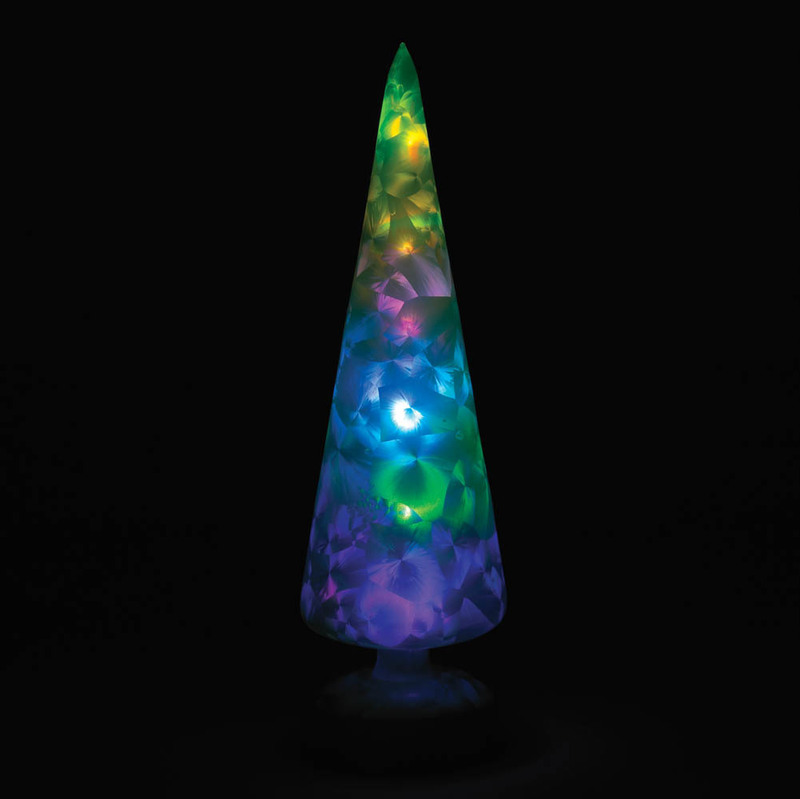 This green glass tree statuette features an intriguing pattern that becomes a vivid and jolly display with help from interior LED lights. Item weight: 0.4 lb. 3¼" x 3¼" x 12" high. Glass, plastic and LED light. Three AA batteries not included. UPC: 849179017507.